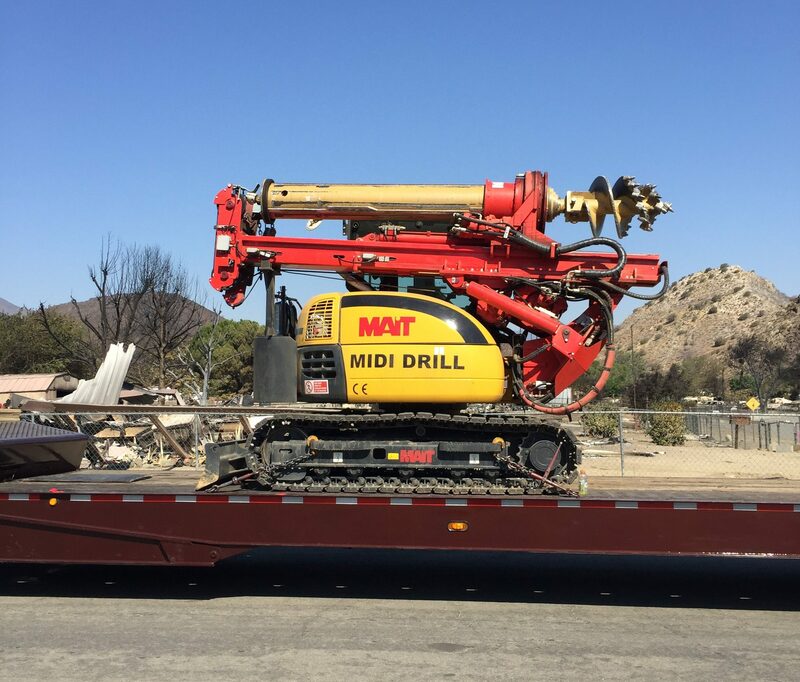 Patriot General Engineering, Inc. has been performing select drilling operations on San Diego Gas & Electric, Pacific Gas & Electric, and Southern California Edison projects for over eight years. We have completed drilling on more than 50 transmission line projects between the three utility companies. Patriot General has a broad range of experience with this scope and understands the complexity of each project. 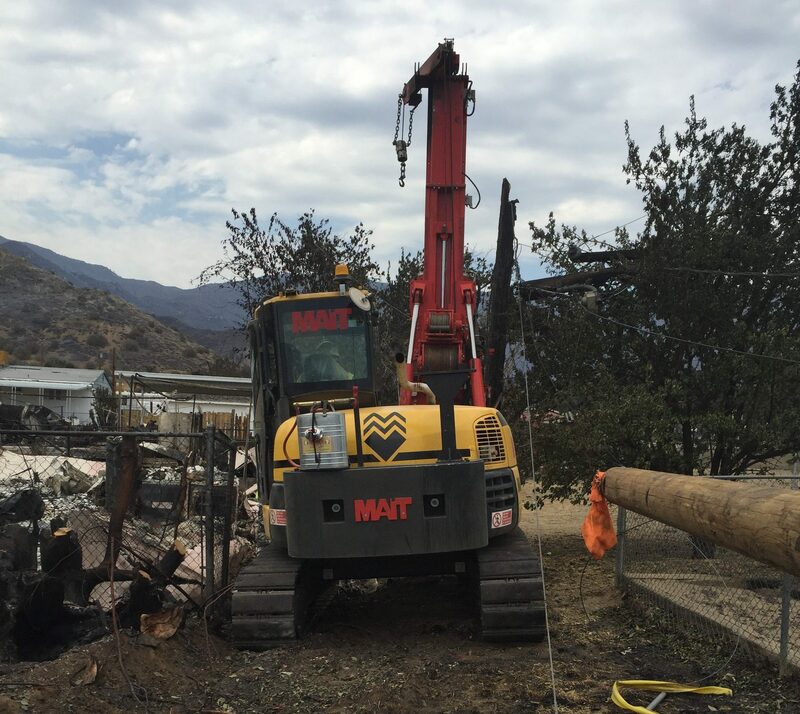 Our drilling operations include digging holes for both wood and steel poles, pole anchor installation and concrete monopole foundations. Included within this scope are spoils removal, limited access locations, concrete backfill, ground rod placement and hard or rock digging. All work is executed in house with IBEW Union labor. Patriot General recently added four new MAIT Midi drills to its fleet. The compact low-drill provides better clearance for inline and close proximity pole replacements. 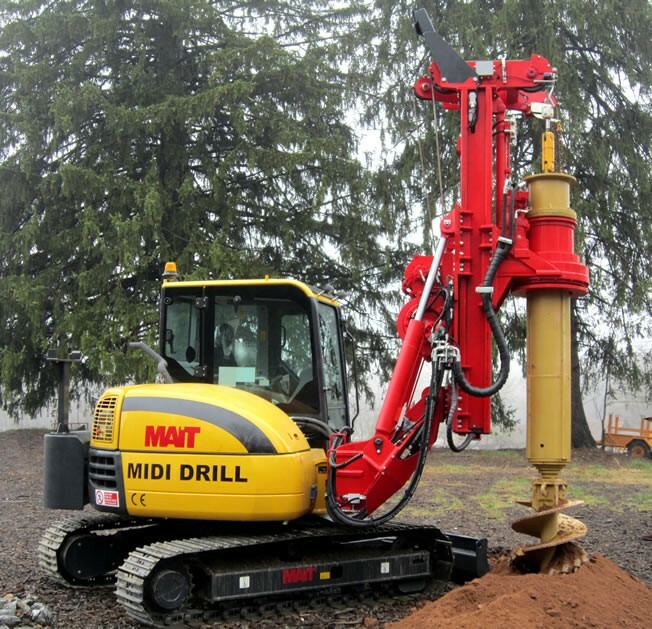 The Midi Drill is mounted on a Komatsu 80. The Midi drill comes with two Kelly Bars that allow the drill to reach depths from 59- 72 feet. In suitable conditions, the MAIT Drill can also drill diameters up to 48 inches. Each machine is equipped with the required Fire Safety tools and has an Electronic Depth Counter. Patriot has also equipped the machine with track pads for easy mobilization on roadways without track damage. Patriot General also has the capability of hand digging pole hole locations that have access limitations with multiple full-time crews providing this service on a daily basis. Patriot General Engineering, Inc. has the experience and professionalism to complete all drilling projects. We look forward to providing estimates for all your upcoming drilling projects. Please feel free to contact us at any time.